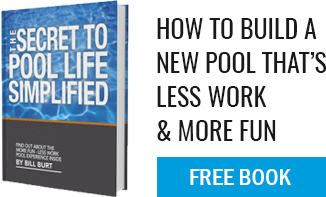 Do I need a ladder in my pool? No but you do need a way out of the deep end if it is 5 feet or deeper. Codes require a “means of egress” in the deep end and we usually build in a “swim out” or “love seat” to supply the users with their exit area. One could argue that a ladder generally has a “public pool” look so we do our best to avoid rails and ladders and instead build custom benches and stairs.